BJCW plates original music and collaborations with local poets including David Landry, Celeste Lawson and Ricki Zuckerman. 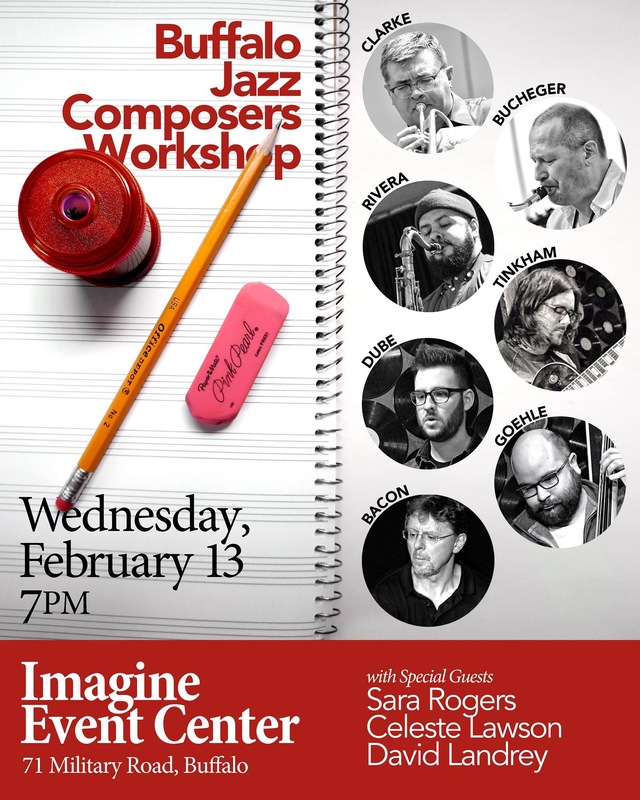 The Buffalo Jazz Composers Workshop is a group of like minded jazz musicians and composers who have been meeting, rehearsing, composing and performing for over a year. The group meets on the first and third mondays of each month at Stamps the bar in Tonawanda. For this event they have collaborated with a group of poets organized by poet and literary guru David Landry.